Are you still bothered by the iMessage "Waiting for Activation" error on iOS 10/10.1/10.2/10.3, and looking for ways to solve the error? Read on this tutorial to fix it easily. This all-in-one iOS cleaner will help you clean and free up more storage space on your iPhone/iPad/iPod. Just give it a try by yourself now. As you know that if you want to have access to the iMessage and FaceTime on your iOS devices, you need to activate them first. But for those who have recently update to the version iOS 10/10.1/10.2/10.3, an iMessage error "Waiting for Activation" may occurred on their iPhone/iPad/iPod during the activation. In fact, iMessage "Waiting for Activation" on iOS 10 is one of the most common errors in iOS devices. If you have facing the same error like above, then follow the tutorial below closely. In below tutorial we will share you some useful tips to help you fix the iMessage "Waiting for Activation" with no effort. 1. 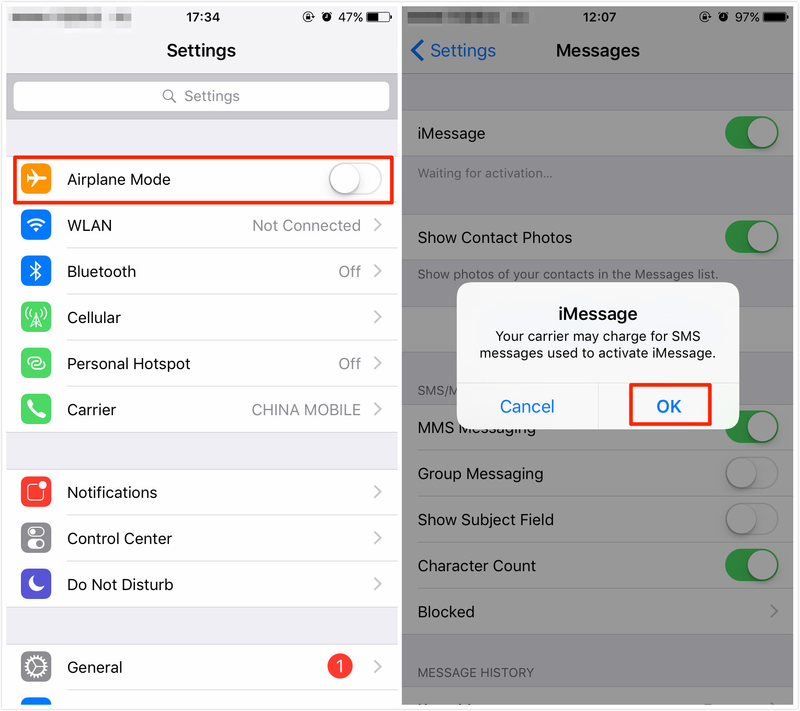 Check for any Wi-Fi issues as the Wi-Fi issues may cause iMessage activation problem. 2. Make sure that your time zone is setting correctly. You can go to setting to check it (Setting > General > Date & Time). 3. Make sure that you have got your own phone number listed in the Phone app. Go to Setting > Phone > My Number > Enter your number. 4. It’s also important to make sure that your carrier supports iMessage. If not, you can contact your carrier support team and ensure there are no limiting conditions for your iMessage activation. 1. Go to Settings and tap Messages > Turn off iMessage and FaceTime > Place your iPhone into the Airplane Mode. Wi-Fi will be turned off automatically. 2. Turn Wi-Fi on manually > Go to Message & FaceTime in Settings again and turn on iMessage as well as FaceTime. You will be prompted for your Apple ID if you haven’t added it before. 3. Go back to the top of Settings, turn Airplane Mode off > You will receive a notification says that "Your carrier may charge for SMS", just tap OK. If not, go back to Messages in Settings to turn off iMessage and turn it on again. 4. You’ll see an email ID and a grayed out number > After a while, you’ll see the number is checked > Your iMessage should get activated now. 1. Go to Settings > Messages > open Send & Receive > Tap on your Apple ID and sign out. 2. Turn off iMessage > Turn Wi-Fi off and then on > Turn on iMessage. 3. Sign in with your Apple ID now and try to reactivate iMessage. 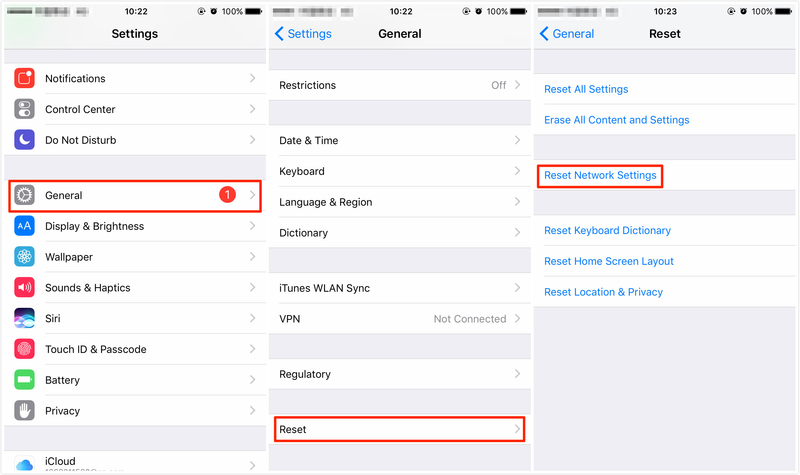 If above methods are failed to help you out on iMessage "Waiting for Activation", you can choose to reset network settings on your iPhone. 1.Open Settings > General > Scroll down to the bottom and tap Reset. 2.Choose Reset Network Settings > Enter your password. With time goes by, you may find that your iPhone/iPad/iPod become slower than before, and even followed by many problems every now and then. Actually, one of reasons is that your device is occupied with all kinds of contents like messages, temp files, caches, cookie, etc. To speed up your devices, you need to clean and free up storage space on your iOS devices regularly. So here, we would like to recommend you an all-around iOS cleaner – PhoneClean to help you optimize and boost up your iPhone/iPad/iPod. 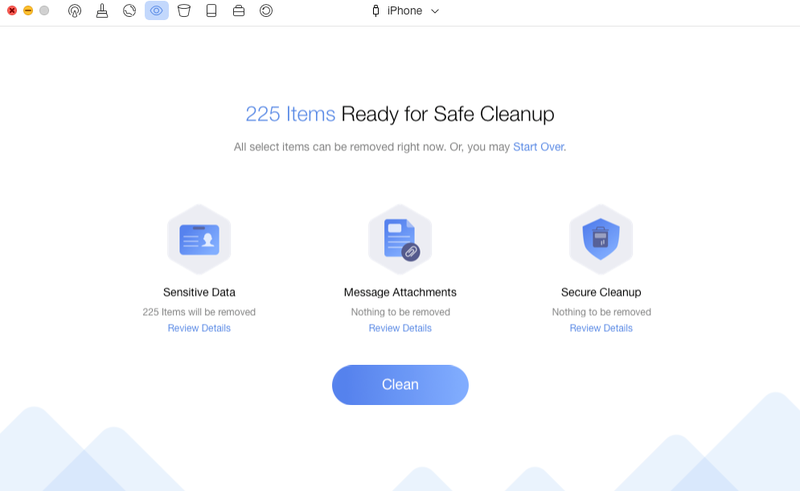 With it, you can clean all the unwanted contents completely, such as messages, temp files, Safari history, browsing history, iTunes radio caches and more junk files. Also, it will make backup for you so that you can easily get the data back when you deleted some important information accidently. So, why not have a try to get a more smooth iPhone/iPad/iPod with PhoneClean now. Which method worked well for you? If you have any other good idea to fix iMessage "Waiting for Activation", share in the comments to help more people. What’s more, don’t forget to make cleaning on iPhone/iPad/iPod regularly to speed up your devices. Try PhoneClean to give you a hand.